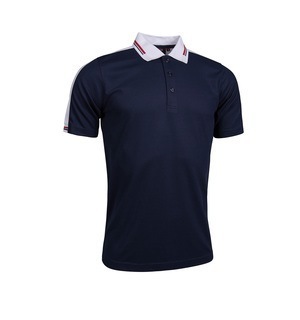 Add another touch of class to your wardrobe this year with one of smartest designed Glenmuir polos we have come across in 2019. 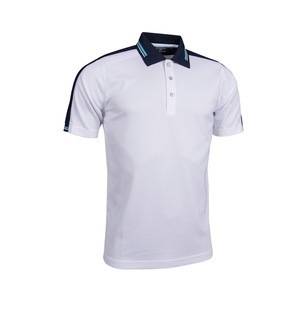 Performance pique fabric make this the ideal polo for your golfing needs and comes with a detailed contrast jacquard tipped collar and cuff made with easy care fabric for comfort and a stunning look. 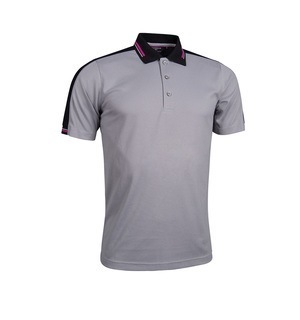 Thanks to the easy-care fabric, this Glenmuir polo is perfect to take away with you on holiday whether you are golfing or not. Come down to the shop and pick yours up today.